The lobster macaroni and cheese at Frankie Bones is a must have when visiting the island! Definitely a favorite amongst the locals, and returning visitors to Hilton Head have made this meal a family tradition! 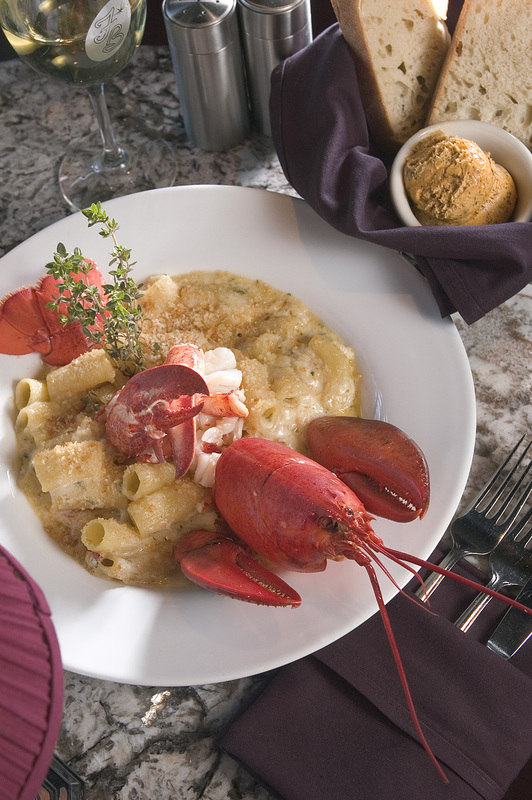 Frankie’s Lobster Mac & Cheese is made up of a whole Maine lobster, de-shelled, with rigatoni in a creamy blend of parmesan, fontina, mozzarella and swiss cheese. Baked with bread crumbs and fresh thyme and includes your choice of soup or salad. All of this for $25.95. (at the time of this posting) Be sure to show them your Beach Properties preferred guest card to receive 10% off of your food bill! Reservations can be made at 843-682-4455, Frankie Bones is located in Main Street Village. Enjoy!